Note: Because there is so much to write about for 1965 I've decided to split it into two parts, with part 2 to come later this week. 1965 was the Year of the Daleks. As you'll see if you read on, Dalekmania - which had first flourished in the latter half of 1964 - was in full flow here. Perhaps wisely, though the Doctor Who production team chose to limit the Daleks' appearances in the series. 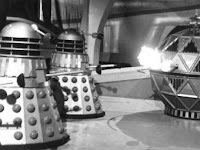 Of the 46 episodes produced in this year the Daleks only appear in 13 of them and fans would have to almost six months to see them back on their TV screens. In the meantime, change was in the air. 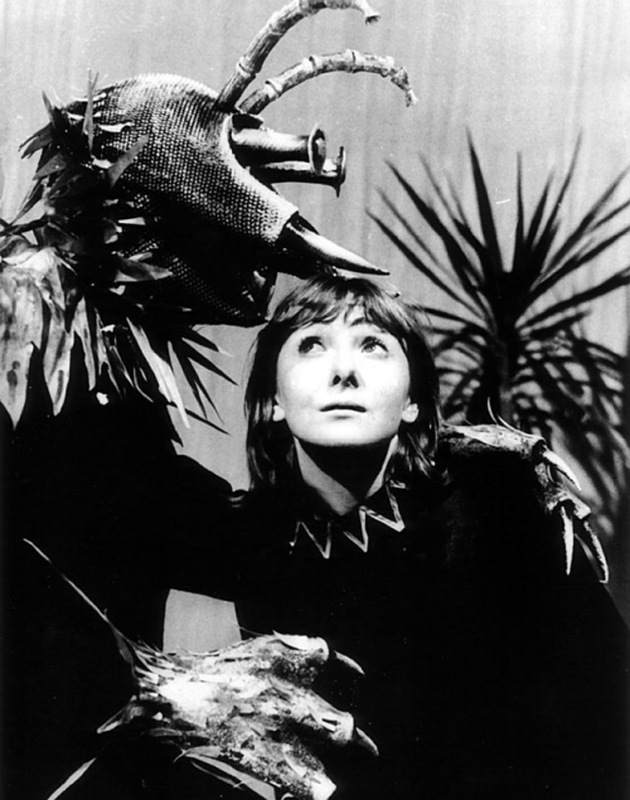 Susan had left and so too had the first script editor, David Whitaker, although he would still be involved with the series, writing serveral scripts including the story that followed on from Susan's departure: The Rescue. 'The Rescue' feels like a turning point for the series and for the character of the Doctor as well. First and foremost this is the story that introduces the character of Vicki to the series who becomes a sort of surrpogate granddaughter to the Doctor. However she's not Susan clone. I've often felt that Susan never really enjoyed her travels. In 'An Unerthly Child' for instance, she says that the five months she spent at school in 1963 were the happiest of her life and in other stories she talks wistfully of her home and thoughts of settling down. Vicki, on the other hand, seems to revel in her adventures. In some stories she seems more eager to explore than the Doctor himself! Perhaps the reason for this enthusiasm is that, when we first meet her, she has been marooned for some time in a wrecked spaceship on a dead planet with just one other person - the somewhat shady Mr Bennett - for company. So it's perhaps not surprising that she jumps at the chance to escape her old life. This story is also significant as we finally see the Doctor emerge as the hero that we're used to seeing. At the story's conclusion, the Doctor confronts the villain of the piece - Mr Bennett - in the first of many such confrontations over the years. It's interesting to see this particular Doctor being so proactive as, up to now, he's often been seen on the sidelines rather than taking centre stage. After rescuing Vicki, the TARDIS takes a trip (and a drop off a cliff) to Ancient Rome. 'The Romans' is thr first out-and-out comedy in Doctor Who although, admittedly, it's not all played for laughs. There are three seperate storylines here: Ian's, Barbara's and the Doctor and Vicki's. 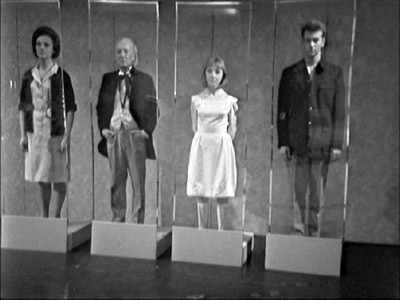 Taking the notion that all roads lead to Rome, the TARDIS crew splits up early on in the story and each end up making their own way to the fabled city by very different routes. It's the Doctor and Vicki who get the lion's share of the comedy. The Doctor ends up adopting the identity of a lyre player (who as it turns out was also a paid assassin) and he spends much of the story trying to avoid both playing the lyre in front of Nero or causing the assassination of the Emperor. Also, much to his own amusment, the Doctor ends up being the inspiration for the great fire of Rome. If 'The Romans' was an experiment in comedy then the next story, 'The Web Planet', is another experiment, this time in creating a truly alien world. The 'web planet' in question is Vortis a world in which none of the inhabitants are even vaguely human. The closest we come to a humanoid species is the butterfly-like Menoptra and even they use unusual speech patterns and hand gestures to make them appear more alien. Along with the Menoptra we have the larvae-like Optera, the ant-like Zarbi and the villainous Animus which is nothing more than an evil alien entity than a physical being. In addition, the camera lens was covered with vaseline during filming in order to give the surface of the planet a more ethereal, alien atmosphere. It's an interesting experiment although whether it entirely works is debatable. Certainly it's notable that something like this isn't really attempted again. 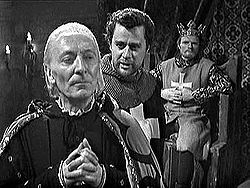 It's back down to Earth in 'The Crusade' as the TARDIS crew travel to Palestine during the Crusades. Like previous historical stories we get to meet more real historical figures - in this case the leaders of the two sides in this conflict, Richard the Lionheart and Saladin. Even now, in 2012, this comes across as a respectful portrayal of what was a very bloody and violent conflict. Both sides are portrayed in shades of grey with neither one being depicted as being necessearilly right or wrong in this conflict. Both leaders are shown to be men of great principle, each respecting the other, both wanting nothing more than peace but both ultimately realising that great sacrifices will have to be made to achieve this. 'The Space Museum' is yet another experiment of sorts - the first story to really play around with the idea of time travel and the notion of being able to change your own future. 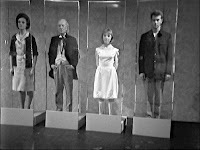 The TARDIS arrives at a space museum (hence the title of the story) but jumps a 'time-track' meaning that the crew arrive before the are meant to and are therefore able to see their own futures, which are not pleasant. Once time has caught up with the travellers, they have to try to change the future and avoid being turned into museum exhibits. Other than the 'changing the future' idea this is a farily standard story but it is nice to see them experiment with the familiar format. Plus it's fun seeing the Doctor pretend to be a Dalek. Speaking of Daleks: yes they're finally back in 'The Chase' - the penultimate story of season 2 and the last story of the first half of the year. This is also Ian and Barbara final story. The story does pretty much what it says on the tin: the Daleks build their own time machine and chase the Doctor and his companions across time and space. The chase takes in variety of locations including the Empire State Building, the Mary Celeste and Dracula's Castle before coming to an end on the planet Mechenus. It's here that we encounter the Mechenoids, large spherical robots that were originally intended to be major rivals to the Daleks, both within the TV series and also in terms of popularlity with the viewers. 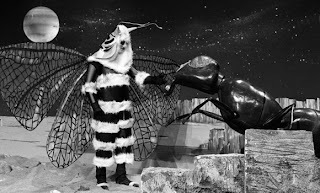 Sadly for the Mechenoids, fame was elusive as the viewing public didn't take to them and this was destined to be their only appearance - on TV at least. 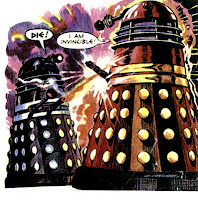 One the plus side they did beat the Daleks in an epic battle at the conclusion of 'The Chase' so it wasn't all bad. The first half of1965 saw two Doctor Who-related record released, not surprisingly both were connected to the Daleks. The first is 'Landing of the Daleks', released in February by a musical group called The Earthlings. It's an instrumental piece that is really rather catchy. It's only real connection to the Daleks though is that it includes a morse code message that warns of the Daleks imminant landing. According to Mark Ayres, who wrote the sleeve notes to a CD re-release of this and other such musical oddities, a different version of this tune was played on the radio. This was because the morse code message included the letters 'SOS'. At the time SOS could only be broadcast on radio during a genuine emergency so a slightly amended morse code was used in the track played on the radio. Dance of the Daleks by The Jack Dorsey Orchestra was released in June. Like 'Landing of the Daleks' this was an instrumental piece and it also had little real connection to Doctor Who or the Daleks beyond having the word 'Daleks' in the title. Another catchy piece of music, though. Perhaps surprisingly, no Doctor Who books at all were published in the first half of 1965. Over in TV Comic, the adventures of Dr Who John and Gillian continued. The strip wasn't afraid to mix sci-fi with fantasy (something that the TV series hadn't really done up to that point) as we see the TARDIS crew go from battling the likes of space pirates in 'The Hijackers of Thrax' to venturing into the fantasy kingdom of the Pied Piper of Hamlin in 'Challenge of the Piper'. One particularly notable story was 'On the Web Planet' which, as it's title implies involved the TARDIS once again landing on the planet Vortis as had recently been seen on TV. 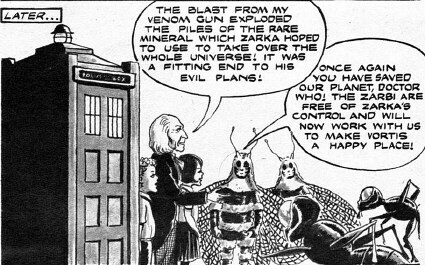 Both the Menoptra and the Zarbi were back too This was the first time that the comic strip had ever used a location or characters from the TV series other than the Doctor himself. 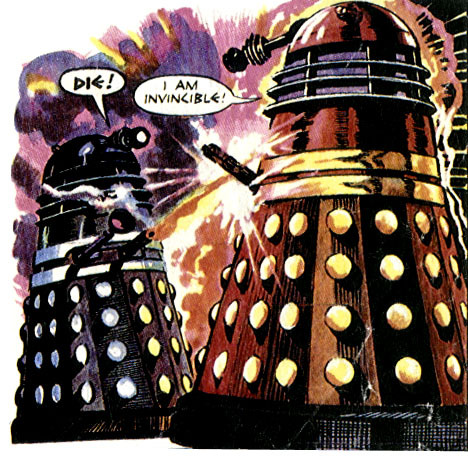 Meanwhile, perhaps unsurprisingly, the Daleks has become popular enough to get their own comic strip. They debuted in a one-page strip in the pages of TV 21, a glossy comic aimed at a higher age group than TV Comic, and in full colour to boot. 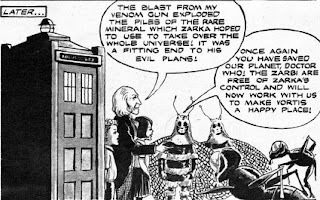 The initial story portrayed the creation of the Daleks - a very different genesis of the daleks to what will later be portrayed on television - and the creation of the first Dalek Emperor, a character who will not appear on TV for another couple of years. 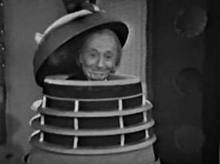 The following three stories in the first half of 1965 deal with the Daleks exploration of their own planet and their initial attempts to conquer the galaxy.